Fundraisers are the ideal way to get that family reunion funded and enjoy the moment without worrying about the cost. 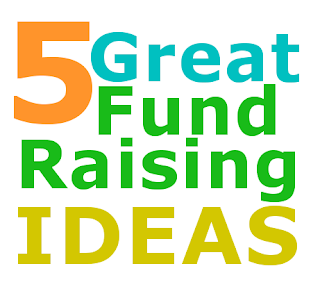 But raising funds can be a challenge and costly without the right tools and fundraising ideas. Let's talk about how to raise funds without having to spend a dime. One of the most time efficient and cost effective ways to raise funds is to promote a fundraiser to all family members via your google+ or facebook page. Just send a family-wide message to contribute $5 to the reunion treasury. Need some incentives. To those who contribute, send a link to a list of freebies and prizes like free books, websites, and product samples. Another great way to raise funds is selling family reunion t-shirts. When priced right they encourage contributing to the cause. It's amazing how easy it is to design and promote t-shirt sales online. A great place to go to do this is at Zazzle. Check out these pre-designed family reunion shirts ideal for fundraisers. Just select the design. Add family reunion event info and send it to your family members via text or email. Finally, there is that food thing that is always a great fundraising success. Do a potluck bake sale that features wholesome home-made goodness. Contact all the best cooks in the family, friends, coworkers and neighbors. And while you're at it have a bake sale on one side of the yard and a yard sale on the other. Have a few family heirlooms. Why not offer them for lease so they can circulate to the highest bidders over a set period of time. Don't have a family heirloom or keepsake. Make one using Fimark's Family Reunion Planner Keepsake and Guidebook. It comes complete with a signature page, journal, family recipe compiler, family tree and other genealogy presentation worksheets. Just complete the book and put it up for circulation during the fundraiser. The highest bidder gets to keep and use the book for the year allowing other family members to add to its keepsake content each year. Looking for more fundraising ideas, family reunion activities, and creative family reunion themes? We wrote the book on family reunion planning. 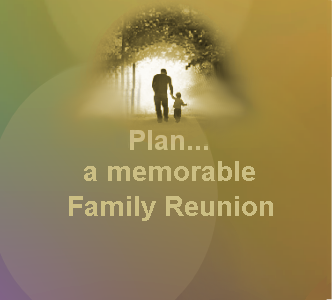 Get Fimark's Family Reunion Planner PDF book and spreadsheet package or Fimark's Family Reunion Planning Social app and be inspired!